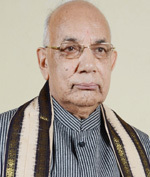 Prof. Kaptan Singh Solanki is Governor of Haryana. Kaptan Singh Solanki was born Read more..
July 1, 1939 in Garhpara in Madhya Pradesh's Bhind District. He is a political and social worker. He is a Bharatiya Janata Party leader. Since August 2009, he has been a Member of Parliament representing the state of Madhya Pradesh in the Rajya Sabha. Solanki completed his studies from Vikram University, Ujjain, P.G.B.T. College, Ujjain and Maharani Luxmibai College, Jiwaji University, Gwalior. Before joining politics, he was a teacher in Banmor in Morena District between 1958 and 1965. He served as a Professor at the P.G.V. College Gwalior from 1966-2000. Solanki is not only rooted in the RSS, but is also well-versed in realpolitik, having been the Madhya Pradesh BJP general secretary (organisation) in 2003 when the party ousted Digvijaya Singh from power. Solanki is a tough man and his presence in Raj Bhavan would stand the BJP in good stead in times to come. First-time MLA and first-time Chief Minister, Manohar Lal was born on May 5, 1954 Read more..
in Nindana village of Rohtak district. He was elected from the Karnal Assembly constituency in the Assembly elections, 2014. Starting schooling at the age of six, Manohar Lal displayed his brilliance early. He was in the forefront of all debates, discussions and school activities, and also excelled in academics. Keen on pursuing a medical degree, Manohar Lal started scouting for colleges. He enrolled himself in Neki Ram Sharma Government College, Rohtak and became the first member of his family to study beyond Class X. With a view to preparing for medical entrance test, Manohar Lal made his way to Delhi, initiating a chain of events that transformed his life. 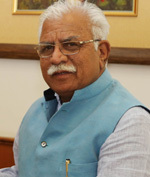 Despite pressure from his family to stick to farming as a profession, Manohar Lal took to business and simultaneously graduated from Delhi University. He has dedicated his life to public service and is known for his political acumen. He played the role of a master strategist and successfully led many electoral campaigns, the last being the 2014 Lok Sabha Elections in Haryana as Chairman of the Election Committee. He has been selflessly working behind the scenes in key party positions that earned him the reputation of a tough task master. He stayed in the forefront of innumerable social projects and humanitarian efforts. A follower of the dictum “Seva Pratham”, Manohar Lal headed the Antyodaya Yojana for BJP at the national level. It symbolised the belief of the party’s ideology and the effort to elevate those in the lowest rung of society. 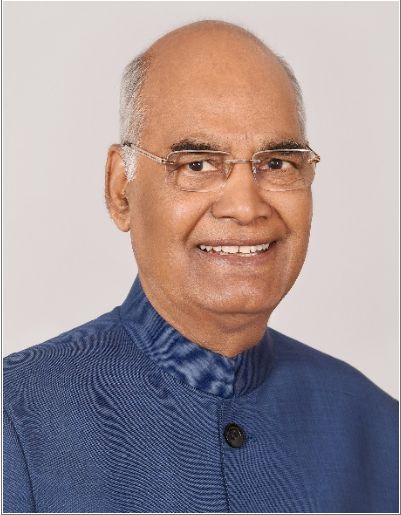 He has always been in the forefront of any social causes that required attention, including the rescue and rehabilitation efforts, like the one during the floods in Kakrola village, near Delhi’s Dwarka area, in 1978 and the earthquakes that rocked Jammu and Kashmir and Gujarat. When he was Pracharak at Rohtak, the district encountered floods that forced people out of their homes and caused extensive damage. The efforts to ensure security and food for the people were spearheaded by him. During the earthquake in Jammu and Kashmir’s Uri and Poonch districts, the whole place was devastated, and once again, Manohar Lal was continuously involved in the rescue operations that included evacuating victims, arranging for their food, housing and rehabilitation. Rambilas Sharma (born 1949) is currently a Cabinet Minister in Bharatiya Janata Party's Read more..
Government of Haryana.He is education minister and politician who has represented the Mahendragarh constituency as an MLA in the northern state of Haryana five times (October 2014). 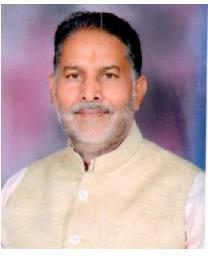 Rambilas Sharma was born on 25 July 1951 in Rathiwas, a small village of 393 people (2011) located in Mahendragarh Tehsil of Mahendragarh district, Haryana, in the family of Shri Jayram Sharma. Born in a farmer’s family with 8 siblings (6 sisters & 2 brothers) he had faced several challenges in his childhood but never compromised on his education. He completed his primary education from the Government primary schools in Devrali and Swaroopgadh. After completing his higher secondary education from Madhogadh School in 1967, he chose Arts stream during his graduation from Mahendergarh Degree College for his B.A. During this period he was introduced to Rashtriya Swayamsevak Sangh (RSS)'s initiatives in mahendrgarh by rss pracharak sh. Rajinder singh( now in Hisar) and, influenced by the RSS, he began to contribute to its growth. Immediately after completing his graduation in 1970, in order to fulfill his father's wish, he married Smt. Bimala Devi on 15 June 1970. Soon after his marriage, he left for Delhi to take over the responsibilities at Sangh's Jhandelwalan branch, wherein he had joined as a proof reader for the English daily Motherland. Concurrently, he pursued his post-graduation, M.A. in English by attending evening classes at the Ghaziabad University from 1971-73. After completing his M.A., while pursuing his B.Ed degree from Kirodimal College at Bhiwani (1973–74) he had to face several challenges to meet his education & routine expenses and even had worked as a night watchman. At that time he was chosen as a "Pracharak" by the Rashtriya Swyamsevak Sangh (RSS) for its Jhajjar unit. He is also an avid devotee of Lord Shiva and had restored an ancient temple of Baba Bhuraasta which was discovered during an excavation activity in Rathiwas. He had also made over 17 "Kanvad Yatras" on his feet to Haridwar to seek Lord Shiva's blessings and organized numerous religious functions in the region. He is (Pandit Vamadeva Shastri) D. Litt., is a western born teacher or guru in the Vedic tradition. In India, Vamadeva is recognized as a Vedacharya (Vedic teacher), and includes in his unusual wide scope of studies Ayurveda, Yoga, Vedanta and Vedic astrology, as well as the ancient Vedic teachings going back to the oldest Rigveda. Vamadeva is a recipient of the prestigious Read more..
Padma Bhushan award, one of the highest civilian awards granted by the government of India, “for distinguished service of a higher order to the nation,” honoring his work and writings as a Vedic teacher, which he received in March 2015. He has a rare and prestigious s D. Litt. (Doctor of Letters), the highest educational title possible in the field of Yoga and Vedic sciences, from SVYASA (Swami Vivekananda Yoga Anusandhana Samsthana), the only deemed Yoga university recognized by the Government of India. In India, Vamadeva’s translations and interpretations of the ancient Vedic teachings have been acclaimed in both spiritual and scholarly circles. He has worked extensively teaching, writing, lecturing, conducting research and helping establish schools and associations in related Vedic fields over the last more than three decades. Vamadeva sees his role as a “Vedic educator” helping to revive Vedic knowledge in an interdisciplinary approach for the planetary age. 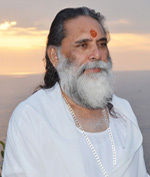 He regards himself as a translator to help empower people to use Vedic systems to enhance their lives and aid in their greater Self-realization.He has worked in several different healing and scholarly fields, with some degree of specialization over certain periods of time. Yet he has endeavored to approach each with a degree of specificity, providing both the background philosophy and practical teachings. 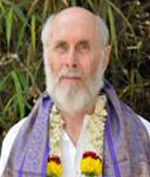 He has studied the major Vedic texts of India and practiced yoga and the Eastern teachings since 1971. He has traveled throughout India many times and has been to every state of India except Meghalaya, Mizoram, and Tripura. He has a collection of over 18,000 slides and images of the many holy places, temples Read more..
historical sites, and festivals he has seen. He has authored over thirty well-received books on different aspects of Vedic culture and Eastern spirituality, along with numerous articles. He also regularly gives lectures at various venues both in America and in India. He has also been involved in the management of various Krishna temples for over 40 years. He is also the president of the Vedic Friends Association. He is also initiated as Sri Nandanandana dasa by Srila A. C. Bhaktivedanta Swami. Much more information about him and his books can be found on his website: www.stephen-knapp.com and http://stephenknapp.info, and at http://stephenknapp.wordpress.com. I grew up in the Ukraine, a former Soviet Republic. At the age of 18 I was admitted to the Foreign Languages Department of the Defence Language Institute (Moscow). In 1985 I have graduated from the DLI with the degree of translation and interpretation from Russian into English/Greek and from English/Greek into Russian. From 1985 till 2004 I provided translation and interpretation services to different customers in oil and gas industry, construction, engineering, steel-making, petrochemical industry, etc. In 2004, I translated P. T. Pavri’s “Theosophy Explained in Questions and Answers” (ISBN 5943551913) for Russian Amrita-Rus Publishing House.. Read more.. In October 2006, I came to India for the first time (in this life) and became Sai Baba’s devotee. In April 2008, Sai Baba blessed my wife Liudmila and me (we got married in 1998) to stay with Him in India. We have been living in India ever since, leaving the country occasionally to renew our visas. In 2017 I made a poetic translation of Shrimad Bhagavad-Gita into Russian (ISBN 978-5-4260-0274-6) and Brahma Sutras (not published yet). I maintain some of the business contacts to translate for living, and translate articles for Sanathana Sarathi magazine for life. Satya Kalra is a self-transformation, empowerment, and happiness coach, spiritual guide, international speaker, and bestselling author. She is also a founder and president of the non-profit organization Path to Anandam to help people to explore their eternal happiness and peace within. She is popularly known for the Anandam Lifestyle (Blissful Living). Prior to finding Path to Anandam, Satya Kalra has been through many facets in her life. She has been a veteran in the biotech industry for 35 years serving as a visionary, entrepreneur, scientist, founder, CEO, president and chairperson, a dedicated mother to three beautiful children, a responsible wife and a committed social worker. Read more.. Following a divine call, Satya left the helm as a CEO in the biotech industry (cancer arena) after serving for 35 years and founded Path to Anandam (Blissful Living). Her personal mission is to live in love, peace, and Anandam, and to propagate blissful living by helping others become more self-dependent and self-reliant, especially destitute women and children. She has masters in organic chemistry from Gwalior, India, masters in biochemistry from the University of Illinois. She also did her business management and marketing education from the University of Berkeley, USA. For more than 20 years, Satya has been practicing and promoting awareness of blissful living through applications of timeless wisdom of the Bhagavad Gita and spirituality in daily life. 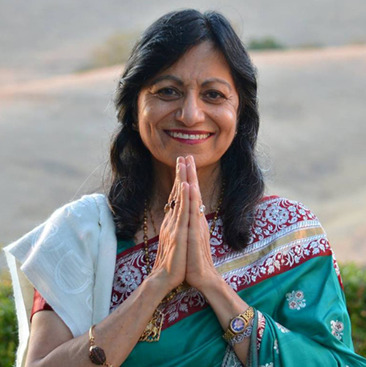 She moved to the United States in 1969 from India, and shortly thereafter began on a path of self-discovery through meditation, studying the Bhagavad Geeta and spiritual practices. She creates a bridge between science and spirituality, and brings awareness to spirituality through ancient wisdom from India with a modern practical approach. The focus of Satya’s teachings is how to be happy, heal yourself, enhance the quality of life, experience blissfulness/Anandam and reach your unlimited potential by raising your conscious level through self-developed 7-Steps. These easy, simple and effective techniques (Anandam meditation and spiritual practices) for the body, mind and spirit have benefited 1000s of people. 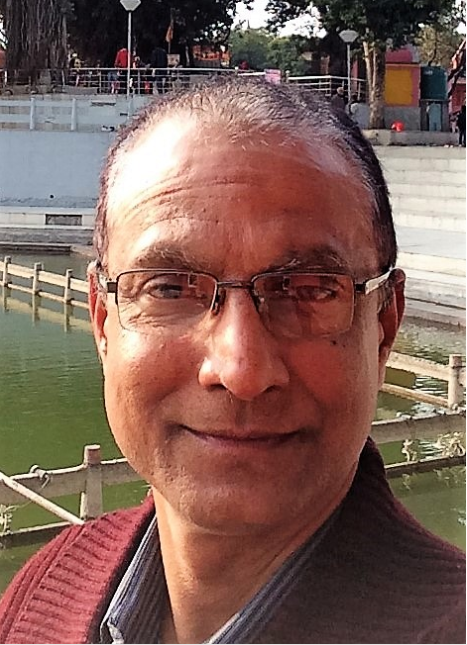 Satya Kalra has published many spiritual articles and bestselling books. My Questions & God’s Answers, 108 Mantras to Awaken Your Soul on Bhagavad Gita and Path to Anandam pocket book series —Yoga Beyond Asana… the Complete Guide for Blissful Life, Enjoy Worry-Free Life in 30 Days, Lasting Forever–Birth, Death and Beyond, Prosperity Forever through Art of Work. Swami Shri Gyananand Ji Mahraj, a portent of harmony and harbinger of love, Swami ji is a pedagogue, a philosopher, a guide, a writer, a yogi and a social server. His books and lectures on ethics, values and Gita have become a chaperon to many. Along with myriad ways in which he has tried to help the society, his efforts augur a virtuous generation of driven countrymen with a clear direction in life. Devoted Read more..
to the divine ideas of meditation, service and dedication to humanity (satsang, sewa and sumiran) they founded GIEO organisation. 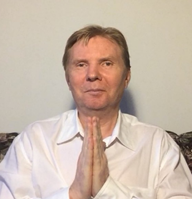 He has been teaching practical benefits of meditation and prayers and dealing with the problems and their solutions in day-to-day life since 1990, inspiring and transforming lives. This transnational organisation has been aimed at bringing about a change much required in the society. Standing amidst the crowd but still apart from it, serving mankind self-lessly and inspiring others to do so, enlightening thousands of lives are few of finest qualities that Swami Ji is blessed with. Gurudev has made spiritually a way of living .Distribution of free monthly food to widows , organizing polio operation camps, educating children in remote rural areas, establishment of cow homes, offering free medical services to saints of Vrindavana are only glimpses of noble deeds that are a part of his mission. His commitment to serve God by serving mankind is exemplary. Dr. Pawan Kumar Singh is working as Professor at Indian Institute of Management Indore in the area of Organisational Behaviour & Human Resource Management. He has more than 28 years of experience in academics in the field of post-graduate teaching in management, training, research, consulting and academic administration. Before career in academics, he worked for Bank of India.Read more..
Dr. Singh has published more than 50 research papers in the field of managing people and has written two books. He has presented about 50 research papers in national and international seminars in India and abroad. He has guided doctoral research and is on editorial board of reputed journals. Dr Singh has trained more than 8000 executive participants and has provided consultancy to various organisations. His discussions have been broadcasted on national channels on television. Dr. Singh has been member of various academic bodies of reputed academic institutions and has been member of high-powered committees of Government. Among various responsibilities in the field of academic administration, he has also worked as Officiating Director of IIM Indore. Dr. Subhash is Professor of Commerce at the Department of Commerce, Goa University. Presently he is holding the positions of Head of the Department of Commerce and Dean of Faculty of Commerce and Management Studies and acting as member of various committees, viz., the Academic Council, Finance Committee, Board of Evaluation, Planning Board, and the Court of Goa University. Read more.. He completed Bachelors, Masters, and Doctoral studies from University of Calicut. He received University Grants Commissions Junior Research Fellowship and Post-Doctoral Fellowship. 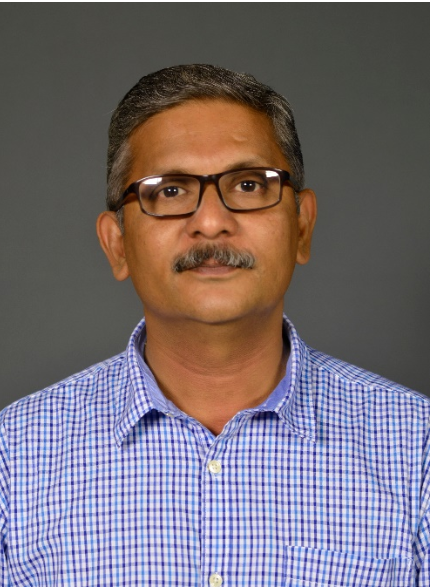 He joined the Goa University in 1996 as Lecturer till 2000, Senior Lecturer during 2000-2005, Reader during 2005-2008, Associate Professor during 2008-2012, and Professor from 2012 onwards. He worked as In-charge Director, Academic Staff College at Goa University during 2011-2012. He has taught numerous subjects at the Masters level and his research is mainly on Entrepreneurship and Venture Capital Financing, Tourism and Hospitality Management, and also Applied Statistics. His work on Venture Capital Financing, emphasizing on its dynamics, the geographical clustering and its economic impact, has been published in The Journal of Private Equity and The Journal of Wealth Management, where he has been nominated as the featured author of the month (August 2009) by Institutional Investor Journals. His work on Tourism Studies written jointly with scholars from Austria, Australia, Indonesia, Switzerland, and Taiwan has received international recognition and presented at various conferences, viz., EURAC 2009 in Italy; 9th ATF 2010 in Taiwan; 60th AIEST 2010 in South Africa; 9th APac-CHEIE 2011 in Hong Kong; 10th ATF 2012 in Indonesia; 18th APTA 2012 in Taiwan; 64th AIEST 2014 in Czech Republic; 65th AIEST 2015 in China; 3rd World Research Summit 2015 in US, and IUPUI 2016 Conference on Pilgrimages in India. He was one of the panelists at the AIEST 2015 along with David Airey (University of Surrey), Bin Dai (China Tourism Academy), Egon Smeral (Modul University), Sara Dolnicar (University of Queensland), where he emphasized the need for minimising information asymmetry for preventing redundancies and fostering relevance of research activities in the field of tourism studies. He is on the editorial member of Latin American Tourismology Review [Revista Latino-Americana De Tourismologia] and also acted as reviewer for Managerial Finance and Tourism Management. He is presently pursuing his research works in the area of Geography of Business Incubation, Impact of National Ayush Mission, and also on Paradoxes of Tourism in the state of Goa. 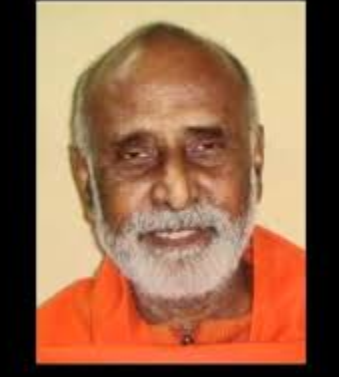 Sri Swami Padmanabhanandaji, born in 1935, in an orthodox Brahmin family to pious parents in Kottayam, Kerala, is a disciple of Brahamaleen Parama Pujya Sri Swami Chidanandaji Maharaj, Past President, The Divine Life Society (Headquarters). An Engineer in the Government of Kerala, he renounced his career and took to life of renunciation to qualify himself for ministering to the Soul of man. He studied Vedanta (Prastanatrayi) and Scriptures in typical Gurukula Samparadaya under a great Master in a Gurukula on the bank of Kaveri River, Tamil Nadu. Read more..
Swamiji is a scholar in Vedic Scriptures as well as in Puranic texts. His deep knowledge and lucid exposition of Srimad Bhagavata,Upanishads, Bhagavad Gita, Narada Bhakti Sutra and Patanjali Yoga Sutras and other Scriptural texts has made him a popular guide to Spiritual aspirants. He has been conducting classes on Upanishads and Gita with Sankara Bhasya to the inmates of the Ashram and in the Yoga Vedanta Forest Academy and also guides on Meditation and Stress Management in Corporates. He has been contributing articles on scriptures to well known magazines. His simplicity, transparent deep faith in the Divine force and surrender to the Supreme has made him a combination of Jnana, Bhakti and Vairagya. Swamiji is doing his Seva to his Master after elected by the Trust as the General Secretary of the Divine Life Society Headquarters, Shivanandanagar, Rishikesh since 04-01-2009. A senior monk of the Divine life Society under the leadership of the present President, Sri Swami Vimalanadaji Maharaj, Sri Swami Padmanabhanandaji continues to work vigorously to spread the Divine Life Gospel, summed up by the Grand Master, Sri Swami Sivanandaji in six succinct words: "Serve, Love, Give, Purify, Meditate, Realize."